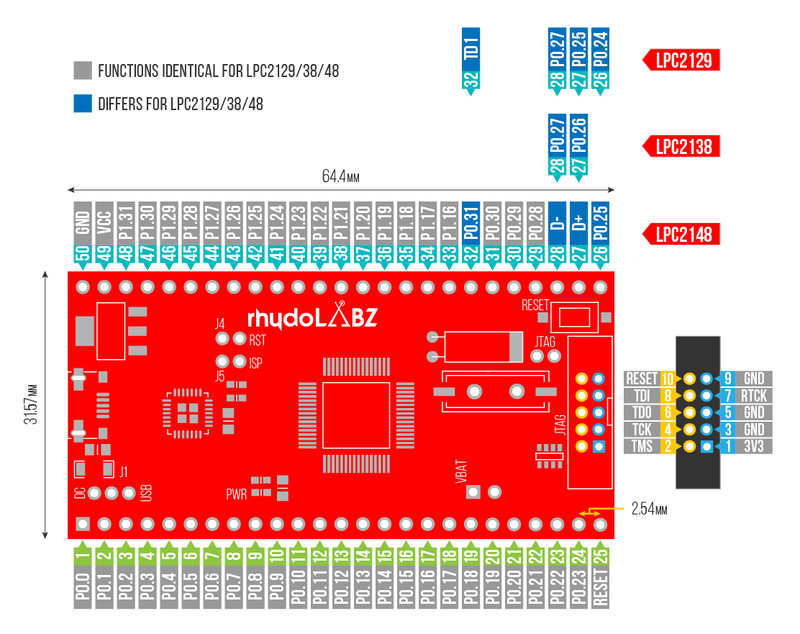 The Stick Series from rhydoLABZ is primarily intended to be used as a development system for 64-pin ARM Controllers (LPC2129/38/48), which can also be used as stand-alone devices. Over the last few years, the ARM architecture has become the most pervasive 32-bit architecture in the world of embedded electronics while LPC2148/38/29 still being the most widely used in ARM7 family. They come with many inbuilt peripherals making them more efficient and a reliable option for the beginners as well as high end application developers. Stick design consists of all basic components required to quickly evaluate and demonstrate the capabilities of NXP LPC2129/38/48 Series. These are populated with USB connector, voltage regulator, RTC crystal, Main Crystal, necessary de-coupling capacitors etc in a breadboard compatible formfactor, with access to all Port pins for external connection. Power supply input to the system can be either from the VCC pinout or the USB Supply (Use J1 for appropriate power input selection). The design also includes a reset switch to avoid programming pitfalls and to manually bring back the system to the initialization mode. 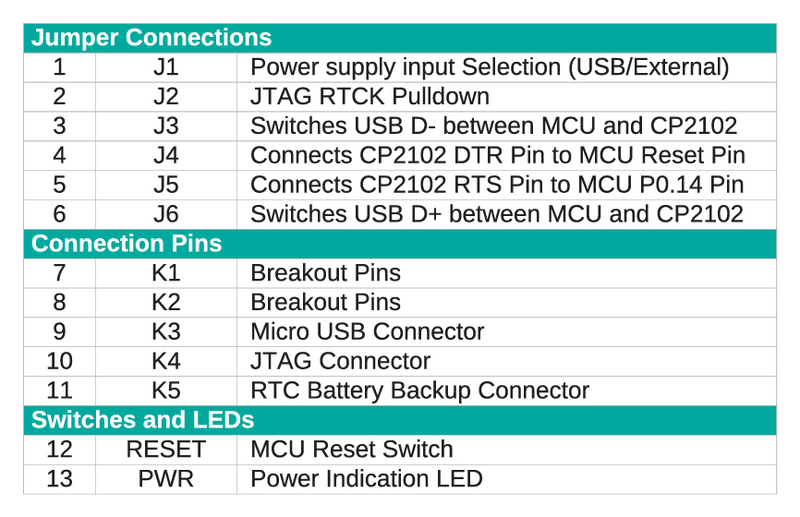 On board MCU has pre-programmed bootloader, can be programmed using USB-UART interface available on-board. The sample code given below toggles the PORT pins in regular intervals.